Brickell is sometimes called the ‘Manhattan of the South’ because of its high-rise buildings, its focus on the financial arena and its truly cosmopolitan atmosphere. Because of the confidence that investors have in the Brickell real estate market in terms of newly constructed condominiums and more in the works, the demand for property continues to rise. Along with the surge in residential and mixed-use real estate comes the desire for businesses and retailers to be located in Mary Brickell Village – the hub of Brickell. 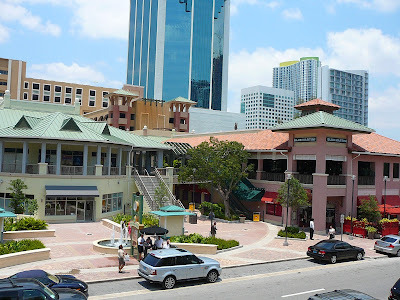 Mary Brickell Village is a ‘lifestyle center’ that is home to restaurants, entertainment, fashion, and major anchors like Publix and LA Fitness. Anyone who is familiar with Brickell knows that Brickell real estate situated within walking distance to Brickell Village is some of the most sought after property in all of Miami. To have everything within walking distance makes it easy to live, work, and play in Brickell makes the neighborhood that much more appealing. Restaurants. Whether the craving is seafood, barbeque, pasta or even a basic burger, there is a restaurant or eatery at Mary Brickell Village to accommodate it. From locally owned, one-of-a-kind establishments like Tapas Experience and Toscano Divino to regionally and nationally known restaurants like PF Changs, Fado Irish Pub, and Rosa Mexicano, there is something for every taste bud. Living in Brickell makes it so easy to grab lunch or dinner at any of them. And, just as important, Starbucks is prominently located at Mary Brickell Village as well as several bakeries and dessert spots. Bars/Night Clubs. What would Miami be without nightlife? Everyone expects lots of neon bar lighting, exotic drinks, and beautiful people. The nightclub and bar scene at Brickell Village happens, for the most part, in the bar areas of some of the restaurants like Fado Irish Pub and Balans as well as one of the area’s favorite spots, the Blue Martini Lounge. Most restaurants have perfect areas to meet up with friends and enjoy happy hours while winding down from a busy work day. Fashion. There are several clothing stores and boutiques inside Mary Brickell Village that capture the essence of the Miami scene. Since it is all about appearance, clothing plays a big part. Some of the favorites are Joanna Paige which has the greatest shoe and accessories collections, Atik Shop, Martha Rey and Blush Brickell for the most up to date fashions, and Peace Love World for casual clothes just to name a few. Services. 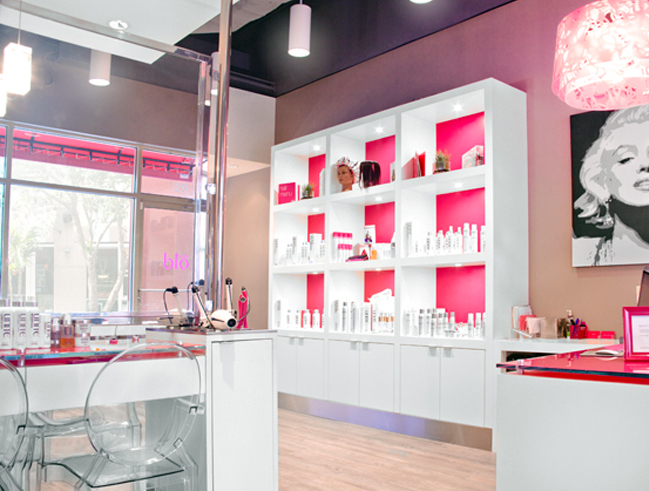 Of course, because so many Brickell residents need convenience more than anything, there are the businesses and services that everyone needs such as salons and barbers like Blo Blow Dry Bar, Razzle Dazzle Barber Shop, jewelers, florists, Fed Ex Kinkos, dry cleaners and more. Major Anchors. 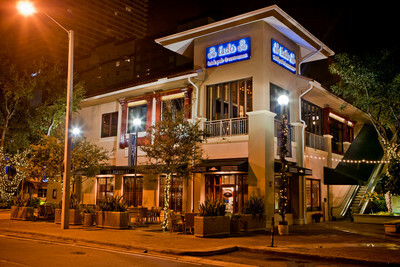 One of the major retailers (anchors) of Mary Brickell Village is Publix. With an extensive wine collection, a wonderful bakery, deli and organic section, Publix is a favorite grocer of all Floridians. To have one in Brickell Village makes it so easy for Brickell residents to have convenient access to a store so essential to everyday living. Plus, this is a perfect stop to pick up lunch when on the go! In addition, LA Fitness is a huge fitness center at Mary Brickell Village. It features state of the art fitness equipment as well as the most current group workouts and individual training. Like every other place in Brickell, it is easy to get there and get a quick workout before work, during lunch or at the end of the day. One key factor to living in Brickell is convenience. The shops at Mary Brickell Village make it possible to have everything in one place. It is so easy to quickly stroll over to the center during work or casually meander throughout the center on a Saturday or Sunday afternoon. While it is a frequent stop for Brickell residents, it is also a destination for those living in other parts of Miami-Dade County. Mary Brickell Village is definitely the hub of Brickell.